Acupuncture is an ancient eastern medical art. It is a method of encouraging the body to promote natural healing and improve functioning through the release of endorphins. The body is made up of a number of meridian energy channels. A block in the channel or in energy can be the cause of pain or disease. With the use of fine filiform stainless steel acupuncture needles these obstructions can be unblocked and the flow of "chi "can be reestablished. 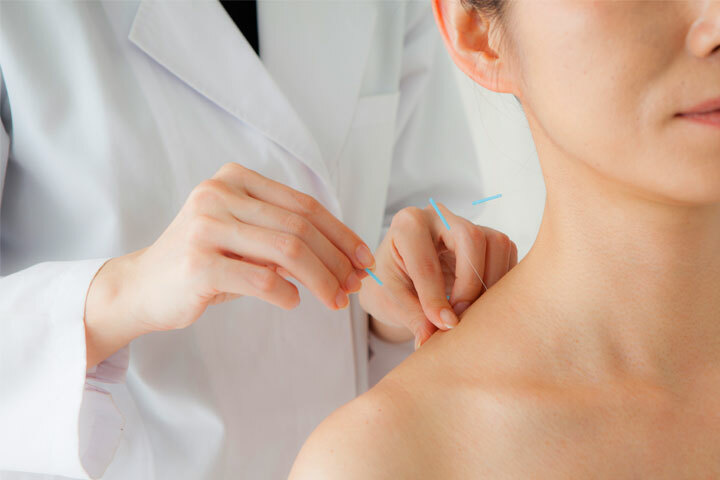 Needling acupuncture points can stimulate the nervous system to release chemicals in the muscles, and those chemicals can change the experience of pain and they can influence ones own body to regulate the nervous system. Acupuncture can be used for a number of different ailments and can be effective as the only treatment or in combination with other forms treatment such as in conjunction with manual therapy.